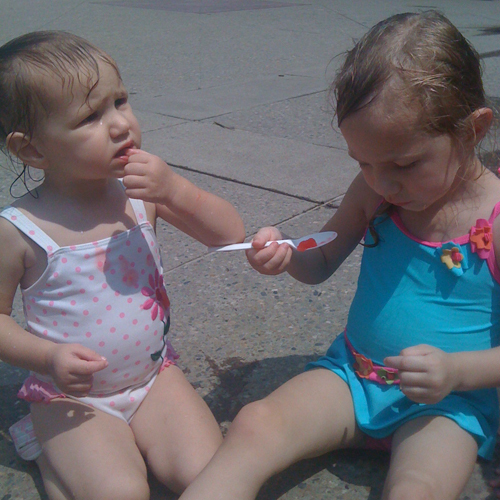 The girls and I had a playdate playing in a fountain and eating snacks on a HOT day. We took advantage of some coupons to get fun free snacks. The girls enjoyed eating Italian ice and a cupcake. Emily fed Julia some of the Italian ice which was funny to watch. 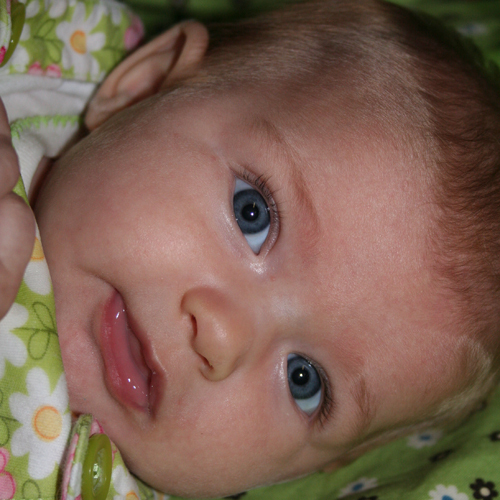 She was good to take a spoonful herself and then share the next one with Julia. The fountain was very refreshing. 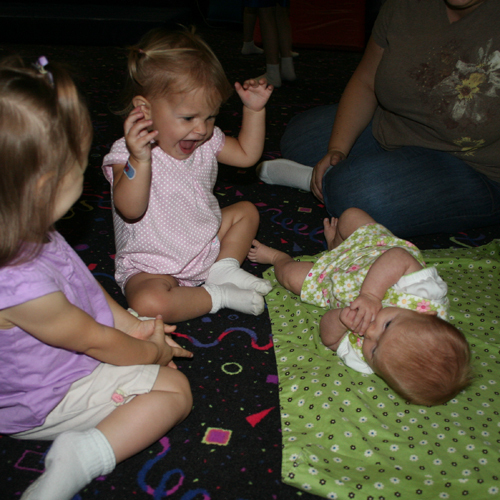 We met Elena, Maeve, and baby Lincoln to play. The big girls did funny things like trying to ‘sit’ on the water. Emily enjoyed having me swing her feet through the water. 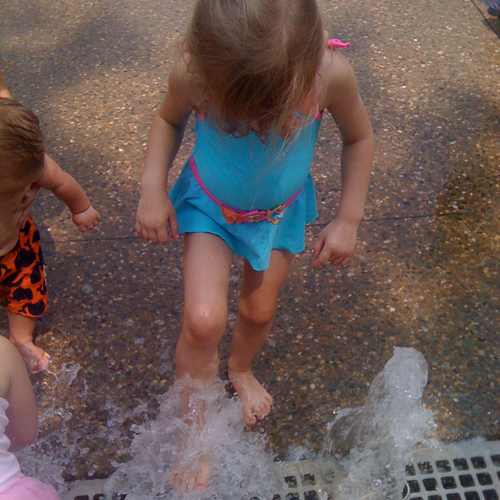 Julia liked running the length of the fountain. They played so hard that Julia was asleep in her carseat before we even left the parking garage. Emily gave in to sleep not long after. 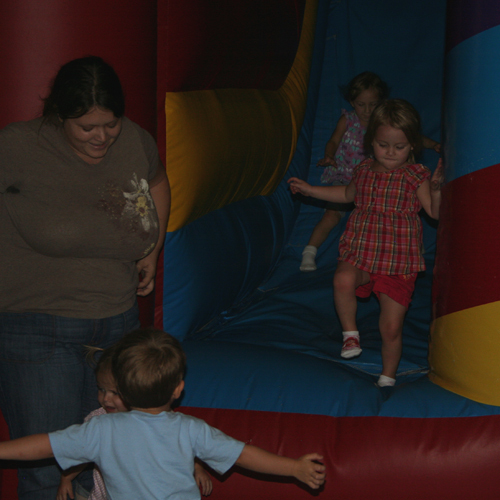 We had a play date with our friends at a bounce play house. I loved playing with the kids in the bouncy equiptment. Emily and Elena were busy playing on everything. Julia liked playing, but needed a lot of help. 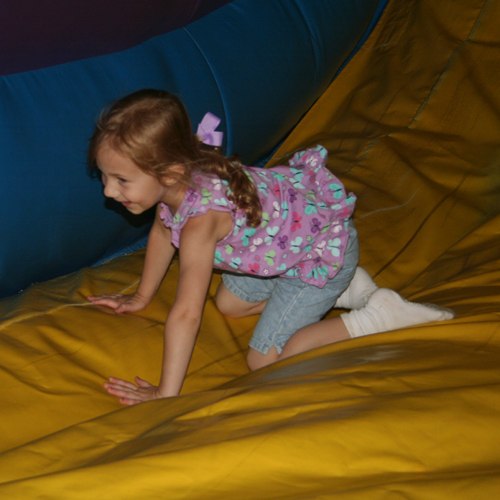 Her favorite was sliding. Aiden went through with Julia and I on one adventure and wasn’t sure if he wanted to continue or go back when we reached the mid-point. He finished it out, honestly I wasn’t sure that I could get out going backwards. All the kids enjoyed checking on baby Natalie. 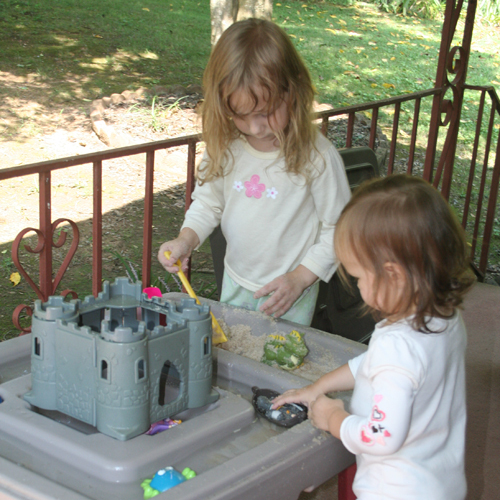 We spent a low stress day at home today with the girls playing with their castle. It involved a lot of water, sand, and hard playing. I think the water went a long way to make the warm day bearable. They were soaked from head to toe by the time they came in. For the most part they played quietly in their own worlds. Any noise between them was generally a complaint that the other one took something they were playing with. It was a sweet way to spend the morning. Shoes are definitely loved at our house! Julia cleaned up the shoes in the living room by grouping Emily’s shoes next to the baby doll’s shoes. Maybe the doll is a member of our family. Some of the funny things about shoes at our house are that Julia gets very excited at the idea of wearing shoes. She has a distinct opinion of what shoes she wants to wear. She brings Mommy’s shoes to her all day long if they aren’t being worn. She escorts her Daddy to remove his shoes every day. I think it is her way of making him stay home after a day of him being away. And lastly, she loves to dress her doll with shoes. Julia decided she didn’t want to eat blueberries when they were placed in front of her at the table. So one day, I had washed some and put them out to dry. 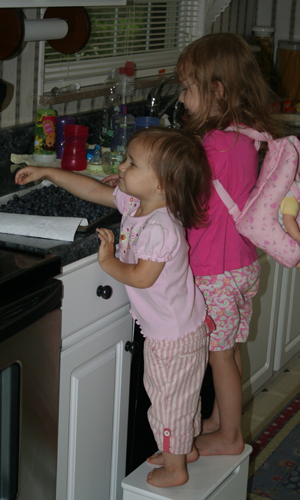 I also put the girls’ step stool in front of the tray. Amazingly, Julia stood on that step stool and ate and ate and ate blueberries. Since that day, she will eat the blueberries put on her plate again. I guess it just took her trying them again on her terms to decide they are good. Emily was a huge fan of the step-stool-blueberry-stealing game. She ate a meal’s worth of blueberries. I wonder why food is so much more desirable when it eaten on your own terms.